SALT LAKE CITY July 11, 2016 – Joined by 17 states, Utah filed an amicus brief in District of Columbia v. Wesby, a case presenting important questions about qualified immunity for law enforcement officers. The defendants in Wesby are police officers in Washington, D.C. who were sued after they arrested suspects for trespassing in a vacant home at 3:00 AM on a Sunday morning after police confirmed that none of the suspects had permission to be in the home. 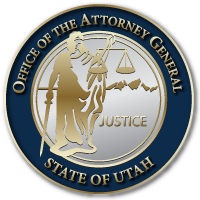 Utah filed the amicus brief because of the significant interest the states have in ensuring that lower federal courts properly apply qualified immunity, especially in cases relating to police officers. The doctrine of qualified immunity protects government officials from liability for civil damages as long as the conduct does not violate statutory or constitutional rights that a reasonable person would have known. Law enforcement officers, the amicus argues, are protected by qualified immunity from suit when making decisions that reasonably misapprehend the law governing the circumstances they confront. In other words, a law enforcement officer should be no more liable than other officials making analogous determinations in other areas of law. The amicus brief is linked here. This entry was posted in Archived Posts, Recent Posts and tagged qualified immunity, Wesby on June 27, 2018 .